Instantly smooths and hydrates for an ideal base under lipstick, gloss or balm. Simultaneously boosts micro-circulation for plumper, fuller lips while working over time to reduce the appearance of vertical lip lines and wrinkles. Collagen Support Complex helps reduce the appearance of vertical lip lines and wrinkles. Mustard Sprout boosts micro-circulation for lips that look plumper and fuller. Hyaluronic Acid and Shea Butter balance moisture levels without feeling heavy or sticky. 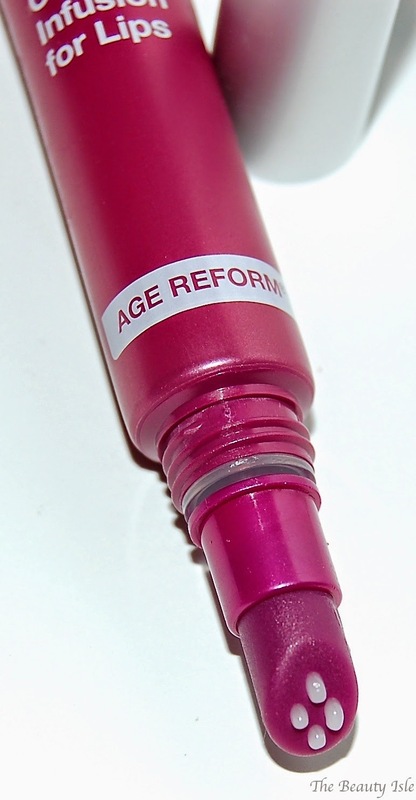 This product is a fast-acting lip treatment that smooths lip lines and wrinkles and plumps the lips. I don't notice much of a lip plumping affect but I did notice my lips looking a lot smoother after application. This product feels almost like a lightweight serum and my favorite way to use it as a lip primer under liquid lipsticks. As we all know, liquid lipsticks are all the rage right now but they can be very drying and make the lips looks super wrinkly. 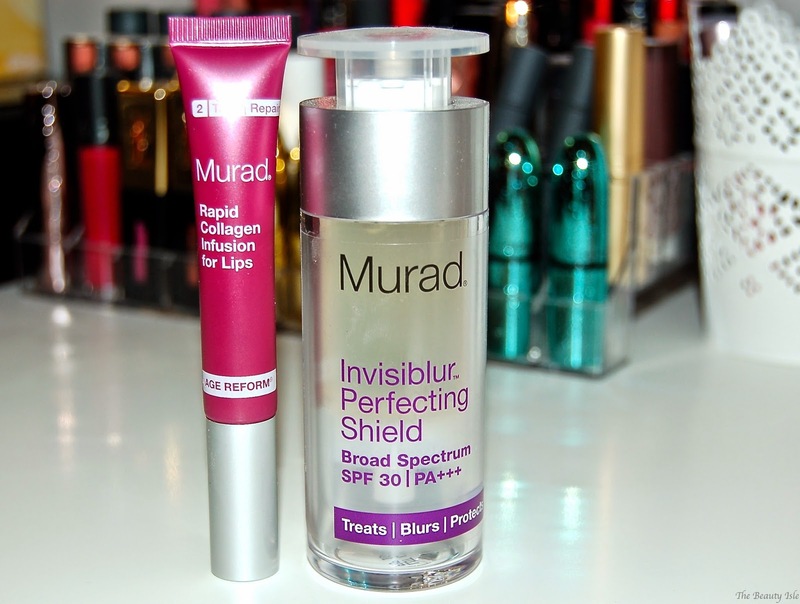 I like to use the Murad Rapid Collagen Infusion for Lips a few minutes before I apply my lip color. I let it settle into my lips for 1-2 minutes and then I'll apply the liquid lipstick (current faves are Kat Von D and Stila Stay All Day, reviews coming soon). When I use this product under my liquid lipsticks they don't feel as drying and my lips don't appear as dried out. I really love this product and feel like it's an absolutely necessity if you use liquid lipsticks. Flawless and fabulous in just one step. This invisible skin perfecting shield blends together advanced treatment, primer and SPF technologies to immediately blur and protect while combating the signs of aging. This is an all-in-one solution that is a treatment, primer, and an SPF. I apply this after moisturizer and before foundation. I've also found there were some days where I didn't even have to apply moisturizer, I was fine using this product and then my foundation. Keep in mind that my skin right now is normal and not dry or oily. The Invisiblur Perfecting Shield is clear, silicone-feeling, and has a gel-like consistency. One pump is plenty for my entire face and once it's on, it feels like velvet. It evens out my skin in preparation for foundation. When I use this primer my foundation goes on super smooth and looks flawless. It also makes my foundation last the entire day without any fading. You can purchase the Rapid Collagen Infusion for Lips for $24 and the Invisiblur for $65. Yes, it's more pricey than most primers but it does have the 3-in-one treatment/primer/SPF going on for it. Not to mention that there's always specials going on at the Murad website. Enjoy 10% off on all orders with code: PERCENT10 at MURAD.com!